This experience brought me back to 2004! My mom was tired of expensive salon treatments when most of the time, she just needed trims or retouches to her hair. That's why she explored studying beauty culture. She studied in Ricky Reyes, and in TESDA's beauty course. So of course, that meant I was her model for plenty of her class sessions, and for her practice sessions at home. This also meant that as a Grade 3 student, I went to school often with updo's, French twists, and all sorts of crazy chignons hahaha. Ahh, those days. Today, I relived similar experiences as a proud model for L'Oréal's first batch of graduates for their Beauty For A Better Life program!!! L'Oréal adopted Brgy Sto. Niño and transformed it into a beauty school. 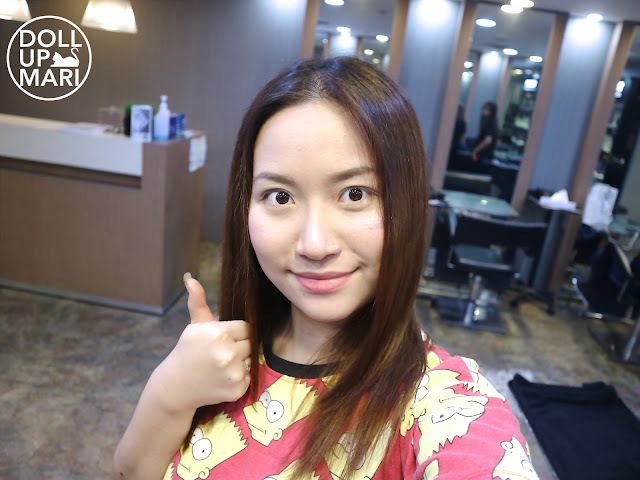 It is in this venue that they succeeded in training a landmark batch of 75 students for 3 months about hair color, hair cutting, and other hair procedures. 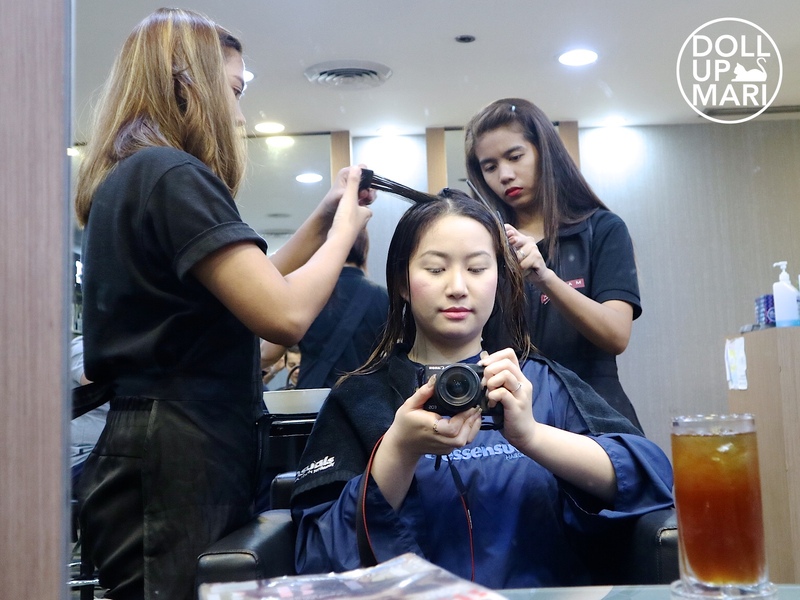 L'Oréal is known for its educational arm in L'Oréal Professionel schools, but this time, they made the effort to bring L'Oréal Professionnel school to the community, so that residents need not travel to the L'Oréal Professionnel school in Ortigas. They also chose this community format, so that after the students graduate, should they need backup people for their gigs, they have their neighbors to rely on. To add, it's also safer for them to travel together in pairs or trios to their future workplaces. This day that I visited Toni & Guy Essensuals salon was one of their immersion/internship days. 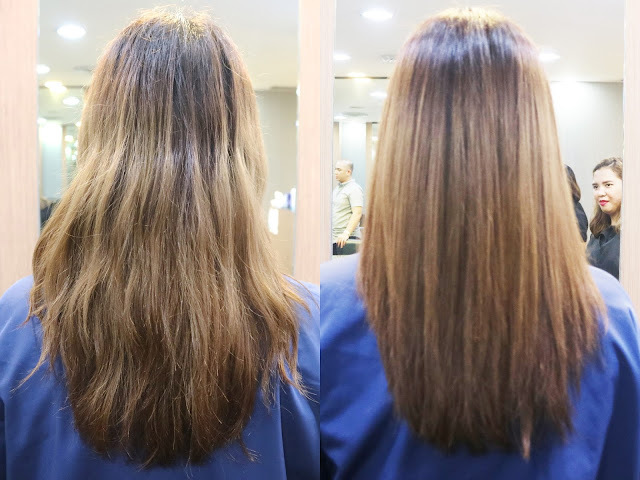 I had a Kérastase treatment done by Jamie and Rose, through the supervision of the salon's head staff. This is how serious we look while shampooing hahaha. It's just for the photo op because honestly, in the 2.5 hours I was there, I had a great time chatting away with executives of L'Oréal and the interns. The immersion is an integral part of any beauty related course, because it takes sooooo much time to get used to handling people. I know how it feels because I went to makeup school! And mom went to beauty school so she shares a lot of experiences, too!!! It is so easy to do your own hair and makeup that you think that theory wise, it'll be easy on others, but in reality, it's nooooooot. NOOOOOOOTTTTTT. NOOOOOOOTTTTTTTT!!!!! You kinda have to take note that you can feel your own head and face, so you know when you're pushing or pulling or rubbing something too hard. When you're doing things on others, you have to learn how to estimate what might feel painful, uncomfortable, or too much pressure on their head or face. To add, when you're doing your own look, you know yourself so well. You know what your problems are, like say dry hair or sparse brows, so you immediately know what to do because you've been doing the same processes on yourself for years now. When you do work on others, you have different people come to you with different beauty issues and different opinions, so it takes time to practice on many kinds of people to be knowledgeable about what to do in each situation. Aaaaand it will take time to estimate more or less what people like and dislike. Some people do not like having their ears touched, and some do not like people to work on them without gloves or masks. People have their quirks, so aside from the technical education that L'Oréal gave them, real life experiences will help equip them with the unwritten knowledge on dealing with people's quirks. Now here's a better representation of me hahahaha. I wasted no time asking Rose (the lady with non-purple hair) about everything this program is about. Rose stopped school to be able to give way for her younger siblings to go to school, and she's already suuuper close. She's 2 years away from a management degree. 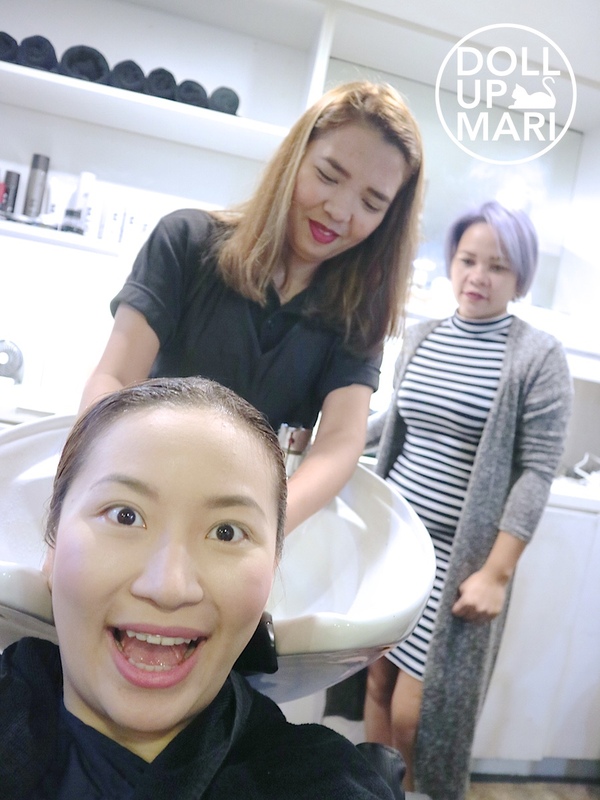 This is why her motivation for joining this program is to be able to work, whether freelance or in a salon, so that she can eventually fund her own degree. And then she can maybe work in a salon or open one in her community someday. Moving on, this is the Kérastase treatment that was used on me. To those who can recall, I had my hair bleached last year September, and since my hair is so slow growing, I haven't grown out the bleached part yet until now. Bleached hair generally is drier and more prone to split ends, so despite the constant use of hair masks and treatments, I needed something like this to kill off the split ends. 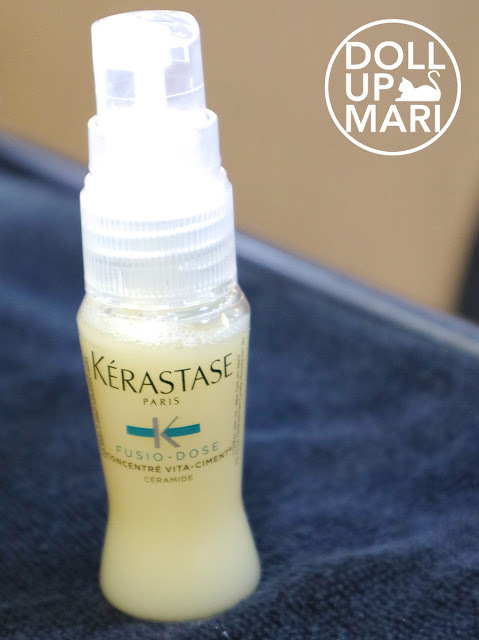 Jamie and Rose waste no time in applying this Kérastase treatment, as well as another treatment for hair hydration. Rose and Jamie shared that they went to school everyday for 3 months every afternoon, from 1-5PM. They have lectures, demonstrations by their professors, and trial periods. They do work on models in school, and they practice on their neighbors and friends and family. There is a healthy mix of theory and application, as is with other schools. The big difference is that L'Oréal brought in sooo much equipment (mirrors, shower chairs, salon chairs, etc.) to their baranggay to simulate a real salon. TESDA does not bring in salon equipment to the baranggays it tours, so it's not 100% accurate of a salon education. AND MOST IMPORTANTLYYYY!!! L'Oréal sent off this landmark batch of graduates with a kabuhayan showcase featuring products and tools (tools!!! TOOOLSSSS!!! ), and there's even more! EVEN THE APPLIANCES, TOO!!! No other school sends home its graduates with a kabuhayan showcase for free. 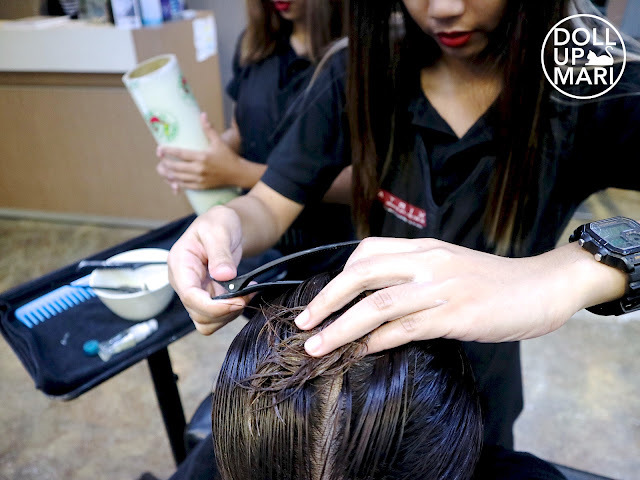 In the first place, TESDA is the only one giving out free courses, so for them to be able to take free L'Oréal Professionnel school level courses is already such a big help. The kabuhayan showcase is another integral part of this program because more often than not, a big reason for why the graduates of livelihood courses do not do as the program expected them to is the lack of finances to acquire the resources. I will be real that whether it's hair or makeup, the costs really do add up. Remember that as a beautician, one will need to have all the things people might ask for. If you're doing other people's hair, you can't just stock up on the hair color you like and shove it in the faces of your customers. You need a good spectrum of hair colors to choose from, and products for whether people want to go curly or straight. And then you'd need the proper appliances, too. 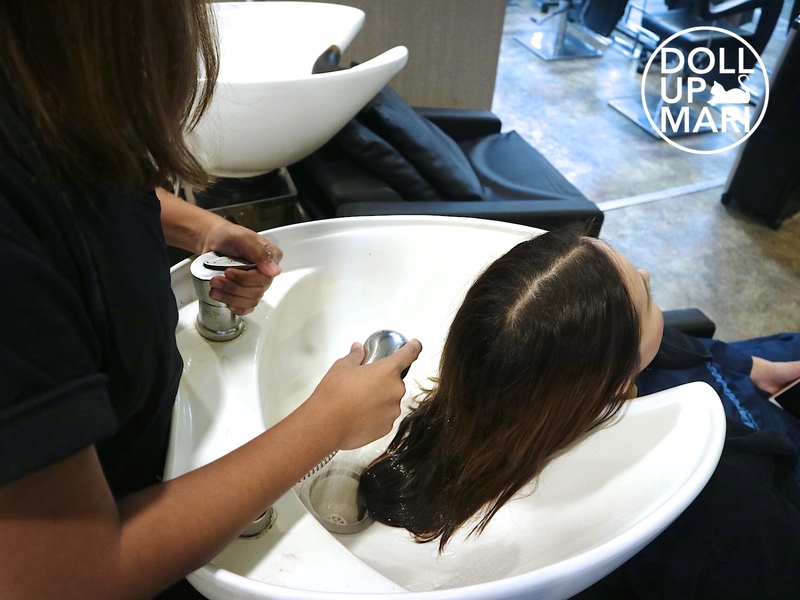 It's easy to assume that they should all just go to salons to work, but in reality, people have kids to take care of and families to support, so some may not be in the situation to afford to work in salons. The commute may be too expensive, or some are taking care of very young or ill family members that they can't go out. Being able to work as an entrepreneur is an important factor for a livelihood program graduate to succeed, but without the resources, it'll be hard. It is then that the benevolent purposes of L'Oréal come to light. These programs are mainly aimed to empower women. Empowerment is the keyword here. Whether they work at home or in salons, giving them the power to improve their lives in the ways they can is what matters the most. Jamie and Rose are part of the first of many batches to come. L'Oréal Philippines is the 26th L'Oréal territory to implement this program, and there are no plans to stop. I wish L'Oréal success in more batches to come, and these graduates success in their respective careers. And goooing back, this is me after the hair spa! My hair feels sooo light, and the split ends aren't so bad anymore. Kérastase is Kérastase, indeed. This is me before and after the treatment. And yesss, I really want to go back to black hair soon hehehe. My hair vomits colors out so much that I have to exert quite a lot of effort to keep it dark. Who knew I'd reach this point wherein I'd exert so much effort to keep my hair dark? The first batch of L'Oréal Beauty For A Better Life graduates will be serving in salons near you soon. Be sure to say hi!